As expected, Apple has begun taking Apple Online Stores around the world offline as it prepares for its second wave of iPhone 5c and iPhone 5s launches on October 25. First announced in early October, this second launch will bring Apple's newest iPhones to 35 additional countries, including India, Mexico, and Russia. As noted by 9to5Mac, consumers around the world are lining up at Apple Stores hoping to purchase a new iPhone. The launch will kick off in New Zealand first, where it is just after 10:30 AM on October 25. Countries receiving the iPhones today include Austria, Belgium, Bulgaria, Croatia, Czech Republic, Denmark, Estonia, Finland, French West Indies, Greece, Hungary, Ireland, Italy, Latvia, Liechtenstein, Lithuania, Luxembourg, Macau, Malta, Netherlands, New Zealand, Norway, Poland, Portugal, Reunion Island, Romania, Russia, Slovakia, Slovenia, South Korea, Spain, Sweden, Switzerland, Taiwan and Thailand. On November 1, the rollout will be extended to the following countries: Albania, Armenia, Bahrain, Colombia, El Salvador, Guam, Guatemala, India, Macedonia, Malaysia, Mexico, Moldova, Montenegro, Saudi Arabia, Turkey and United Arab Emirates. Following Apple's third launch on November 1, the iPhone 5s and the iPhone 5c will be available in more than 60 countries, bringing Apple closer to its stated target of availability in 100 countries before the end of the year. Supplies of the iPhone 5s remain constrained, with shipping times in the United States and a number of other first wave launch countries still at two to three weeks. 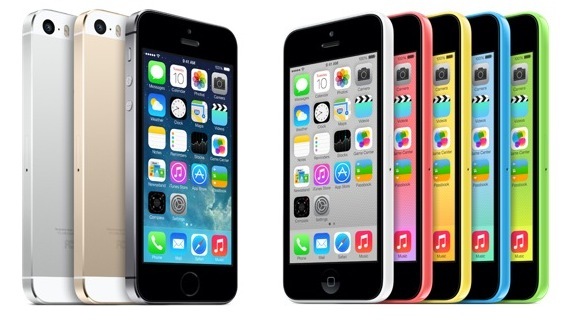 Supplies of the iPhone 5c, however, remain plentiful, with estimated shipping times of 24 hours.